In DG Tournaments, players can follow tournaments. But why? Well, for example, let's say you are waiting for registration to be posted by the directors of many tournaments. The activity feed will show you any updates made to the registration and convienently provide the link to the registration page if provided. 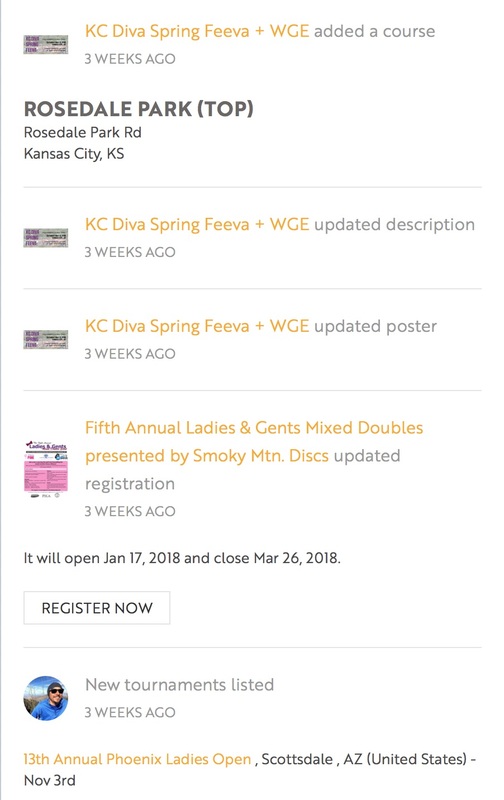 In addition to registration updates, at this writing, the activity feed will show updates to the tournament description, schedule, player pack information, headquarters location, courses, links, uploads and sponsorships. This is one feed for information about all the tournaments you follow. 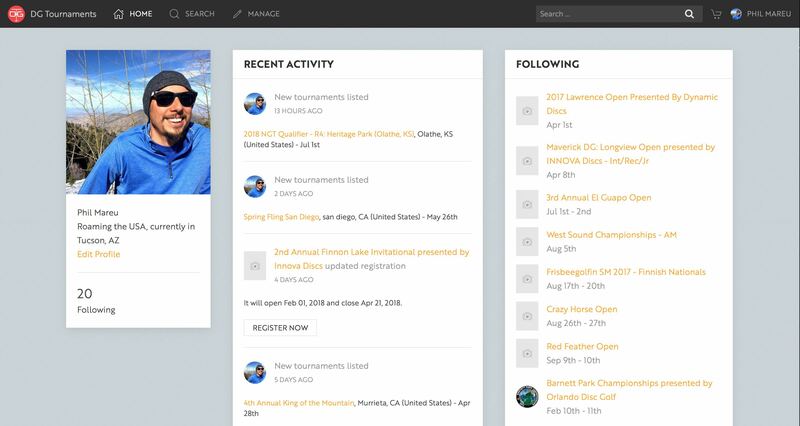 The activity feed is the start of a simple but powerful tool for keeping up with all the tournaments you follow. We have many more great features to bring to this platform and really hope to get more tournament attendance with the help of addition resources like dgtournaments.com. If you have any comments or suggestions please let us know on Facebook, Twitter or contact form.